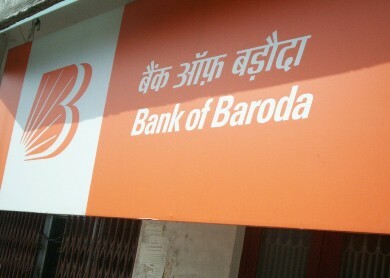 A panel headed by RBI Governor and including Financial Services Secretary, during the previous UPA regime had shortlisted Chairman and Managing Directors for Bank of Baroda, Canara Bank, Indian Overseas Bank, Oriental Bank of Commerce, United Bank and Vijaya Bank. The selections made by the panel had been sent to the Finance Ministry for ratification by the Appointments Committee of the Cabinet (ACC) but the government decided to scrap the entire selection process and fill these vacancies as well as two others, including Syndicate Bank, through fresh selection process involving RBI Governor or his nominee. Following the arrest of Jain, the ministry had set up a committee comprising Expenditure Secretary, RBI Governor and Secretary School Education to examine the selections to six PSBs. "After receipt of the report of the Committee, the government has decided to cancel the current selection process of CMDs/EDs of Public Sector Banks (PSBs)," the statement said. To fill up these 8 vacancies of CMDs along with those of 14 executive directors, the government decided the selection would be done by a panel necessarily comprising of RBI Governor or his nominee. "The Government (had) constituted a Committee consisting of Secretary (Expenditure), Secretary (School Education) and Governor, Reserve Bank of India (RBI) to examine the selection process adopted for the selections to the posts of CMDs/EDs of Public Sector Banks (PSBs) for the year 2014-15," it said. "... Eight posts of CMDs and 14 posts of EDs would require to be filled-up de novo," it said. Also, it has decided to "finalise a new process for selection of CMDs/EDs for all future vacancies." The statement, however, did not spell out the process to be followed. Finance Minister Arun Jaitley had said the government is scrutinising recent appointments of bank heads. "Time has come to be strict with PSU banks. I have urged the Cabinet Secretary and the RBI Governor to examine recent appointments in public sector banks," he had said. Syndicate Bank chief Jain was arrested in August for allegedly receiving a bribe of Rs 50 lakh to enhance credit limits of a company.